The couple Hyun-Jung and Julius Berger is the Duo Berger: Critics praise the homogeneity and the felicitousness. 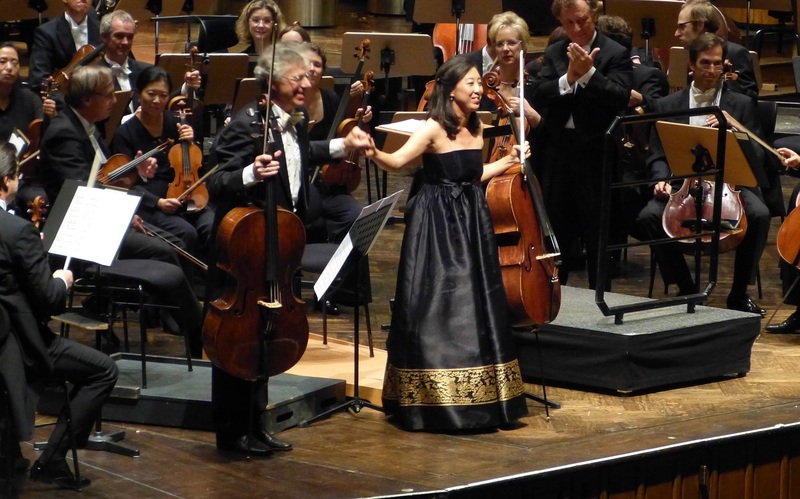 The premiere of “Two paths”, a work for two violoncelli and accompanied by the Orchestra Sofia Gubaidulina at the “International Music Festival Soul” as well as the performances at the “Beethovenfest” 2014, 2015 in Bonn (Germany), are part of the many highlights in the history of the Duo Hyun-Jung and Julius BERGER. Press and audience are praising the rare inner homogeneity beside the exquisite programs with works from all epochs, also containing specific compositions written for the Duo e.g. „Madrigal“ by Viktor Suslin, „Arboreto Salvatico“ by Giovanni Sollima, „nuovo brano“ by Franghiz Ali-Sade and other. CD recordings of sonatas written by Luigi Boccherini were declared as gold standards for interpretation. Critics commend the homogeneity and the Duo’s common breath which already dragged attention word wide. The Duo took part in remarkable concerts e.g. in Washington D.C. (National Gallery), Seoul, Basel (Switzerland), Asiago-Festival (Italy), Kronberg Cellofestival, Wieskirche, and other. Hyun-Jung and Julius Berger are teaching at the Leopold-Mozart-Zentrum of the University of Augburg. From both classes, top talents working as professors or cello-soloists in important orchestras arose. Both artists are married since 1997 and play in only few selected concerts in order to have more time to focus on family life and their children.